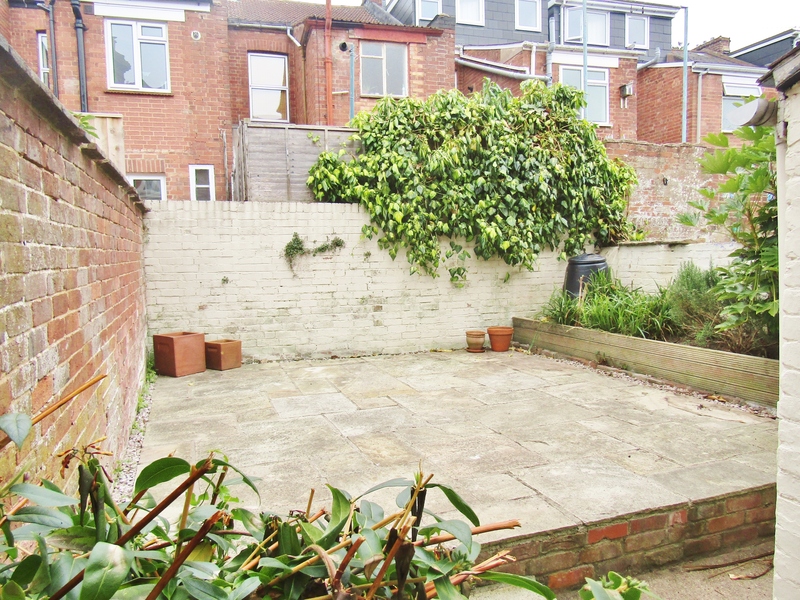 This lovely property occupies the ground floor giving great access to a spacious, low maintenance and private garden. The apartment has also undergone an extensive refurbishment which includes full new decor to wall and woodwork. Brand new carpets and flooring throughout. 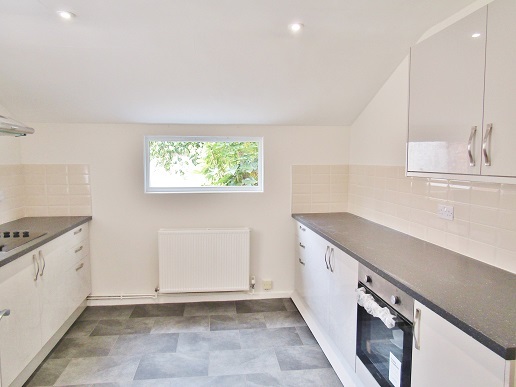 Brand new fitted kitchen and the fitment of brand new uPVC double glazed windows. 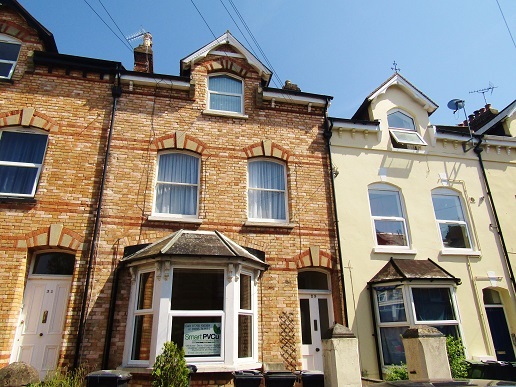 Please note the uPVC double glazed windows that have been fitted are sash style in keeping with the period of the property and are superb quality. On entering the property you are met with an entrance hallway with magnolia walls, white woodwork with stripped wood solid flooring. The entrance hallway provides access to the bathroom, both bedrooms and the lounge. There is also a large storage cupboard which forms only a small part of the vast built in storage this property offers. The master bedroom located at the front of the property is a superb space. 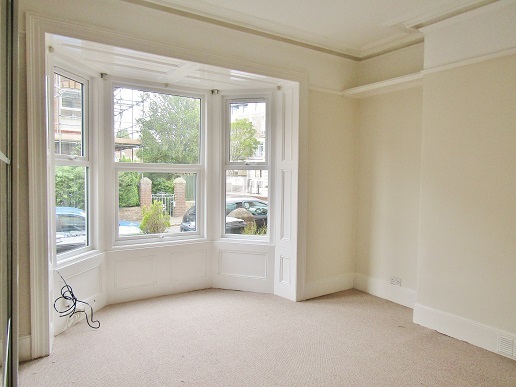 All new decor and new carpets fill this room, but the main feature has to be the very large Victorian bay window which is now fitted with 2 uPVC double glazed sash windows and surrounded by freshly painted original Victorian panels. This bedroom also has more original features such as the lovely original cornice which can be seen in the photographs. Additionally the storage in this room is vast with a combination of built in cupboards and a large modern, and quality fitted bedroom storage unit. The second bedroom is once again a very big space with one of the new uPVC double glazed sash windows overlooking the garden. This window is an almighty size and lets in plenty of natural light. Once again there is all new decor and carpets fitted in this room as well plenty of built in storage. The lounge is a great space that provides access to the private garden and to the brand new kitchen. There is ample space in this room for lounge furniture and as with the rest of the property the lounge has brand new decor, carpets and a uPVC double glazed sash window. The kitchen is a lovely space which has just been finished - Comprising of brand new white, high gloss units and a dark granite effect work surface - fully fitted with a brand new electric oven, ceramic hob, sink and extractor fan. The decor and tiling is brand new as well as the grey slate effect vinyl flooring. Modern down lighter lamps have been installed, but there is swathes of natural light which pours through multiple brand new uPVC double glazed windows that overlook the garden. The kitchen also houses a Worcester Bosch gas combi boiler which services the heating and hot water throughout the apartment. The bathroom, although not brand newly fitted, has recently received attention and is in the process of being redecorated. The bathroom is fitted with a modern white suite with sink, W.C and bath with power shower over the bath. The decor which is almost complete is magnolia walls, white woodwork and stripped solid wood flooring. The garden is gem! Completely private, spacious and low maintenance this absolutely ideal for entertaining, relaxing or pottering about. There is an initial court yard that leads to a large raised patio which is completely walled with a large planting area to the right. Very nice and rare with an apartment. 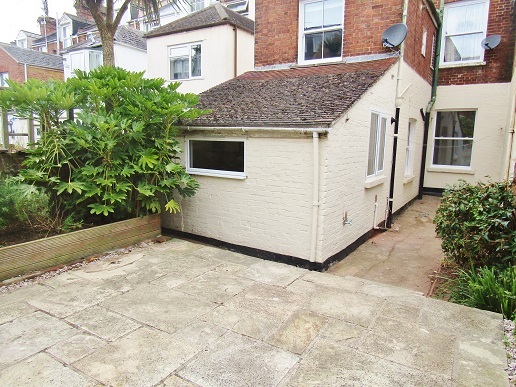 The location of this property needs no introduction as it is set within a very desirable street in St Leonards, which is regarded by many as the most affluent area of Exeter. 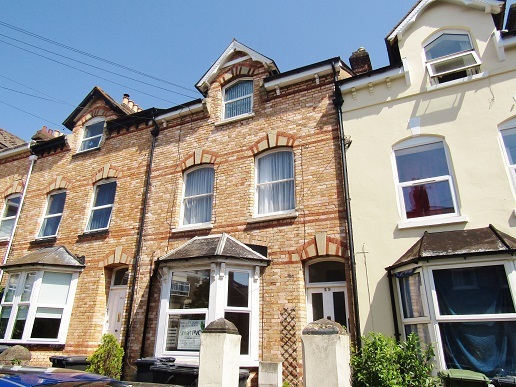 Only a 2 minute walk from all of the delightful offerings of Magdalen Road or a slightly further walk takes you straight to Exeter City Centre. Waitrose is also within a very short walking distance and Exeter RD&E Hospital is also very nearby. This property has just been refurbished, has brand new double glazing and gas central heating throughout - comes with a garden and is very spacious inside! A must see home!